Step 1 Heat the oven to 325 degrees. In the bowl of a stand mixer or in a large bowl using a hand mixer, cream together the butter and sugar. Beat in the eggs, one at a time, then add the almond extract. Step 2 In a medium bowl, whisk together the flour, baking powder and salt. With the mixer running, slowly incorporate the dry ingredients into the butter mixture. Add the sliced almonds and mix for a minute more. You will have a soft dough. In Recipes-list.com we have selected the most viewed recipes from category - Breakfasts Desserts . Enjoy the best recipes specially selected for you! 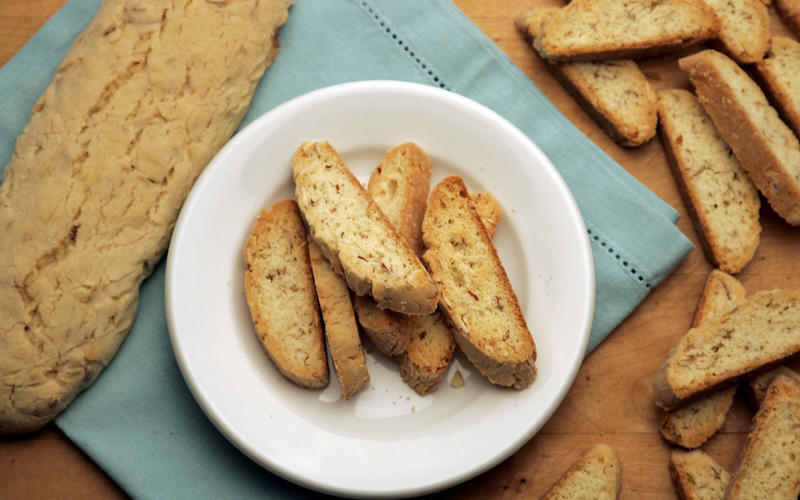 Almond biscotti is the right choice that will satisfy all your claims.